TWO HARBORS — A celebration of finely crafted beer is the theme of the day at the 10th annual Microbrew Fest. The party takes place on the beach in Two Harbors with a variety of microbrews to taste and live music for dancing. Previous years have brought as many as 35 breweries to Catalina’s West End to showcase their latest handcrafted microbrews at the Isthmus Beer Garden, on the waterfront. 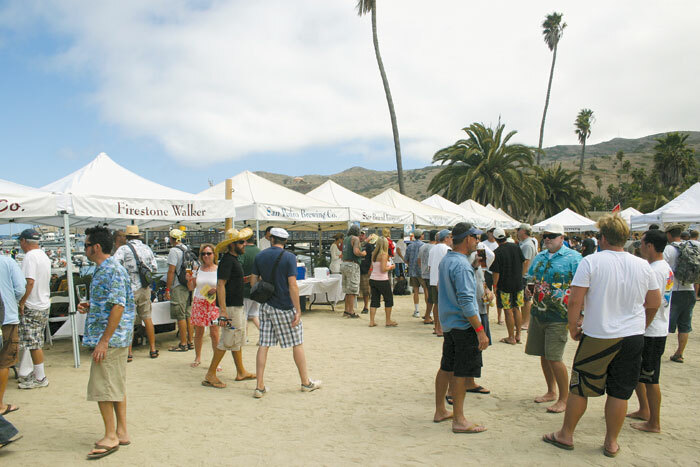 Breweries expected at this year’s event include San Pedro Brewing Co., Firestone, Belmont Brewing, Pizza Port, Shipyard Brewing Co. and Rock Bottom. Tickets are now on sale and can be purchased by calling (310) 510-4205. The cost is $35 per person in advance or $45 per person the week of the event. Space is limited, as the event regularly sells out, with 500 in attendance. For more information, contact Leslie Luchau-Boutillier at (310) 510-4249.